From a football perspective, I think it's fine in a vacuum. He's a qualified, capable coach. From a schematic diversity perspective, it's very disappointing. It's yet another former NFL guy running an NFL-style offense. New York probably wasn't the market to try something radical, but we're running out of spots. Barring Bob Stoops getting weird, we're probably going to be doomed to NFL Light. From a marketing perspective, I think they're vastly over-valuing having a local connection. It's not necessarily a positive, especially for a market with two NFL teams. Gilbride was a punching bag for Giants fans at the end of his run (Kevin Killdrive), and hiring a former Giant could be a turnoff for Jets fans. Figured it would be something like this. Underwhelming but respectable enough. At least he should help keep the league offensive-minded. Not to get ahead of ourselves but I think at this point it's going to be the 2nd generation of head coaches when we'll see more of the Pep Hamilton types (good resume but their real career is ahead of them, not behind them). At this point they probably shouldn't waste any more time getting cute with the hires, just get guys in the door that know what they're doing. Not the sexiest hire. That's for sure. Despite having 40 years of coaching experience and 2 Superbowl Championships on his resume. I never considered him because silly me, thought that he was really retired. It's been almost 6 years now. One of the things that is real difficult with New York teams and the coaches and executives that work for them is location, and the expenses involved in living in the Tri-State area. I have seen this my whole life with Giants and Jets assistants. Sometimes coaches will turn down coming to New York, not just because it will uproot their families, but because the cost of living is a huge factor. New York always has to overpay. Especially when it comes to top level assistants. Not easy finding somewhere to live and it's very expensive. Specifically with property taxes alone. So someone like Gilbride is an easier sell on the market. He already has northeast ties, living in CT. Having been born and raised there. He played college ball at Southern Connecticut. He's been coaching in New York and living there since 2002. Coached for The Buffalo Bills and New York Giants from 2002-2013. It's another XFL hire with someone who has an offensive background. Working with QB's. So far it's a QB centric league. Even with a defensive minded coach like Stoops, who has great history with quarterbacks. I think Trestman and Stoops will run non NFL offenses. You are going to see a heavy CFL influenced Trestman offense with Elizondo calling plays. Pep is going to have college elements, from his time in Stanford and at Michigan. So his offense could be a hybrid of pro and college. Zorn and Gilbride are probably going to be old school NFL style offenses. Gilbride is pass centric. Dating back to his time with The Oilers. It's what got him punched in the face by Buddy Ryan. There are 3 hires left. So we will see what coaches hop on board. I guess, but these are all just shades of grey. Harbaugh's college offenses and Hamilton's NFL offenses were pro-style; Trestman's NFL offenses were NFL offenses. There are a lot of bright offensive minds, and I'm sure we'll see some creative ideas, but if you were prioritizing schematic diversity, this wouldn't be the result. I don't think that's the end of the world, but I do think it's a missed opportunity. Trestman did run an NFL offense in Chicago and in the NFL, but if they actually hire Jerry Glanville, I could see Tampa running the Run N' Shoot as that was the offense Glanville was known to have run everywhere he's been. Ok..it’s kinda a hire for me. Nothing sticks out, nothing doesn’t stick out. Trestman has run a lot of different types of offenses. Hiring Jaime Elizondo as OC from The CFL and having won 3 CFL championships with that up tempo style of play, leads me to believe that Trestman is not going to run a traditional NFL styled offense in The XFL. Especially with the way the league is set up. We still have a way to go. Stoops hasn't announced his OC yet. We don't know about Houston or LA. If Martz is in STL, we know where that's headed. That's not a bad thing per se. I think Trestman's OC choice and his experience in Canada, kind of tells me where that offense is leaning. It's going to be a hybrid. Just getting these coaches to commit to an upstart league is not easy. Throwing out location which helped snag Trestman, Stoops and Zorn. Perhaps Hamilton as well. 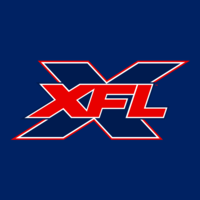 After what happened to the original XFL and all the baggage, the league carries, and what just happened with the AAF. Getting coaches that have NFL, CFL and college championships to commit to the league is an accomplishment in it's own right.